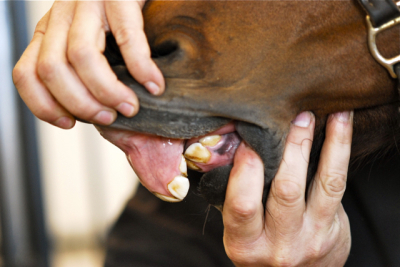 Why do horses need their teeth checking? 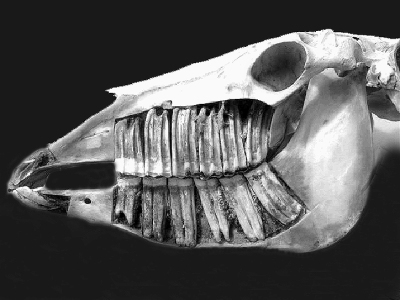 I am commonly asked, what would happen to the horses teeth if they were in the wild. There are a few answers to this. Firstly, many of our domesticated breeds, would not exist in the wild. Humans have bred far away from their origins. 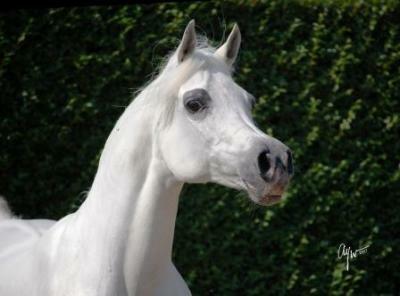 For example, Arabs with very dished heads often have dental issues and this is becoming more common in Welshes as they are bred for pretty heads. If you look at wild ponies, you will notice they have large straight heads, allowing their teeth to align properly. Dales ponies and other breeds that have kept this ancient head shape, in my experience, show far fewer dental issues. Apart from shape, there is also size to consider. A shetlands teeth are usually not proportionate to their heads and so often have missing teeth or displacements. Where as a Shire's teeth often have too much room and can develop gaps (diastemas) between them. Secondly, wild ponies have a rough and tough to chew diet. Nowadays we feed hay and haylage or lush green grass, these foods do not require as much wear on the teeth. 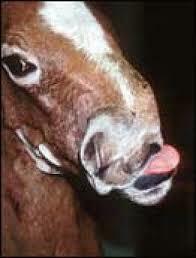 Also the roughage is often fed in haynets which creates a high head position for chewing which is not natural. This can cause hooks to appear which would not be found in the wild. 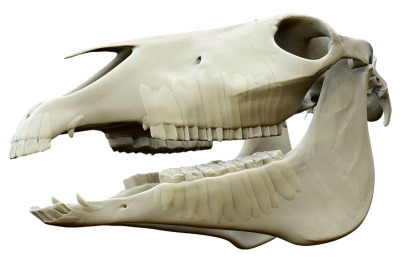 How often should I get my horses teeth checked? 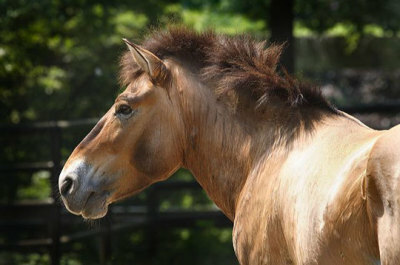 By the time a horse is mature, they have all the length of tooth they will ever have. The tooth roots can be 10-15+cm long depending on the size of the horse. 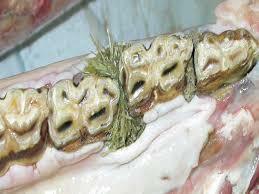 Over a horses life, this reserve root erupts down into the mouth as the teeth wear away. When the horse gets old and they run out of root, their teeth become loose and fall out. 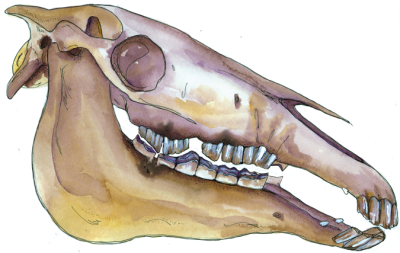 A young horse will erupt between 5-7mm of tooth a year, where as a horse over 20 years will only erupt 1-2mm a year. This means a young horse will develop sharp points much more quickly than an old horse. Most young horses (under 10 years old) will need dental treatment every 6 months. This may reduce as the horse ages and they may only need yearly or even every other year visits, providing they don't have any issues. As the horse becomes more aged, they may have dental issues like lost teeth or diastemas which require them to go back to a 6 monthly routine. Some horses with severe diastemas or previously neglected teeth, may even need 3 monthly visits. This will be discussed with you at the end of your horses dental treatment and will be recorded on your dental chart. How old should my horse be before I get his teeth checked? Every foal should have their teeth checked during their routine foal check by the vet. If this is not performed then ideally have an EDT check them before 6 weeks old. This is mostly to check for deformities such as parrot mouth (as pictured) and wry nose. If these are mild, often nothing is needed other than more regular dental work from an early age. However severe case as shown may require surgery which is more successful at a young age. Apart from this, the best time to have a first check is prior to bitting a youngster. 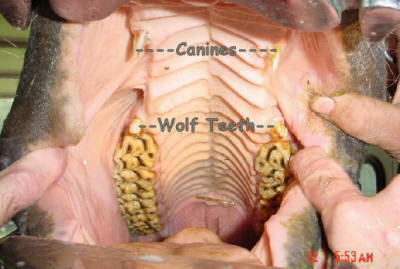 If the horse has wolf teeth or sharp points, this could cause the bitting experience to be a bad one. To avoid this, have their teeth checked prior to bitting and then every 6 months until your EDT says this can be extended. The horses top and bottoms jaws don't line up perfectly. 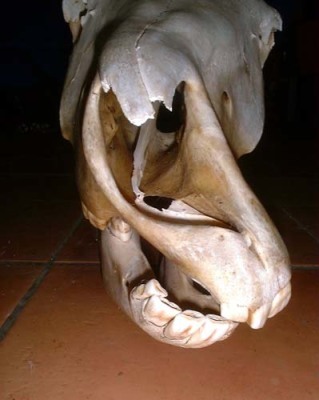 This is normal for horses, their bottom jaw are more narrow than the top jaw. This makes a very efficient chewing mechanism but causing sharp enamel points to form on the outside of the top teeth and the inside of the bottom teeth. It is these sharp points that EDTs and vets rasp down, otherwise they can cut the horses cheek and tongue. Hooks are overgrowths of teeth at either the front or the back or the horses molar teeth. 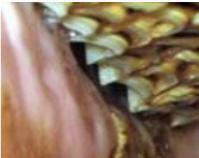 These form when the teeth don't line up as they should front to back. This often is a result of consistent feeding from a height or it can be a consequence of either an over shot or under shot jaw. With regular dental care, these do not usually cause a problem. However when left untreated, they can become so big that they cut into the opposite gum or even the opposite jaw bone. Diastema (or diastemata) is just another word for gaps between the teeth. Many years ago we use to call the space between the incisors and the molars where the bit goes, the diastema. However, as we have become more aware of equine dental care, this is now called the interdental space and we only use the term 'diastema' for spaces that should not be there. These spaces can be due to drift after a tooth has been removed, or due to displaced teeth, often occuring during teething. However, it can simply be the way that a particular horses teeth have formed. These spaces get food material stuck in them, often the opposite teeth form into a wedge shape because the space does not wear them down. These wedges force more food into the diastema and make it worse. The packed food material rots and this causes gum disease. Just like in humans, gum disease makes gums very sensitive and they can bleed. In more severe cases, the gum recesses (dies back) and the tooth is eaten away (caries), which in turn makes the gaps even bigger and even more food can get stuck down them. Left untreated these diastemas can rot down the tooth , making them loose or the infection can track down the root forming abscesses, which would eventually mean the tooth would need taking out. Treatment involves reducing the opposing wedges, cleaning out the diastema and trying to prevent them from repacking, either by widening them to stop food getting stuck, or by packing them with dental material which forms a solid barrier. Who can do horses teeth? The short answer to this is absolutely anybody. 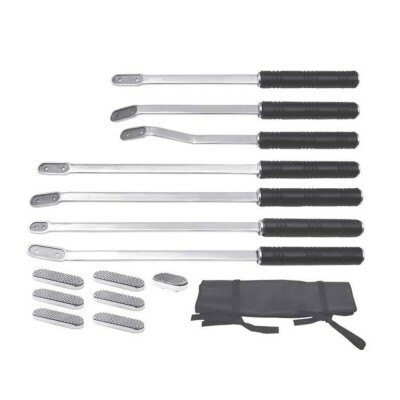 Anybody with no knowledge, training or qualifications can pick up a set of hand rasps and legally attend horses teeth that fall within Category 1 (explained later). So how do I know who is qualified? And what are the qualifications? Usually an unqualified person will only use hand rasps. This is because they are legally not allowed to use electric burrs. They are 2 qualifications recognised by RCVS and DEFRA which are legally allowed to perform Category 2 procedures (as explained later). The British Equine Veterinary Association (BEVA) recognised British Association of Equine Dental Technicians (BAEDT) qualification and the independant association World Wide Association of Equine Dentisty (WWAED). - A unqualified lay person may carry out Category 1 procedures. - A student BAEDT member may carry out Category 2 procedures under continuous direct supervision from a full BAEDT member or a vet specialising in dentistry. - A qualified BAEDT or WWAED member may carry out Category 2 procedures although wolf teeth removal must be under continuous direct supervision of a qualified vet. - Only vets may carry out Category 3 procedures. Currently in Great Britain, a wide variety of people perform equine dental procedures. Some may be well trained and appropriately qualified Equine Dental Technicians, some may be Veterinary Surgeons, some are both, and some may be very inexperienced people who have had minimal training, but nevertheless perform very advanced dental procedures, sometimes damaging equine teeth. On some occasions they cause serious, even life-threatening injuries to horses’ jaws, mouths and throats. Other people (sometimes referred to as 'tooth raspers' because that is basically all they are legally allowed to do in the UK) just perform simple Category 1 procedures such as rasping off small dental overgrowths. - These procedures may be carried out by anyone, irrespective of whether they have undertaken any training or have any qualifications. - The extraction of teeth or dental fragments with negligible periodontal attachment. - The use of motorised dental instruments where these are used to reduce dental overgrowths and remove sharp enamel points only. Horses should be sedated unless it is deemed safe to undertake any proposed procedure without sedation, with full informed consent of the owner. - This includes all procedures not mentioned in Category 1 or 2. I can perform all of this work with the added benefit of being able to sedate immediately, should this be necessary without the added cost of a separate vet visit. This allows horse owners to have a qualified registered vet for sedation and a qualified BAEDT registered dentist with the experience and the capability of all aspects of dental work, rolled into one.